By: Amanda B., Ben C., Warren M., Ryan F., Jocelyn H.
Garbage has been collecting in a middle point in between all of the oceans through circular water currents. This "land mass" has grown to a considerable size. Its estimated size is about twice the size of Texas. This Garbage Island ties in with "The Tragedy of Commons" because the garbage can affect our natural resources within the ocean. Whether it be polluting the water, or killing off aquatic life. The major players in this situation is everyone. 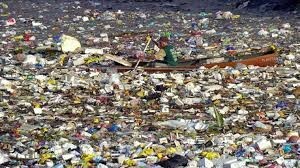 All around the world people are throwing garbage into the ocean without thinking about it. Possible solutions are stricter rules on recycling, and garbage laws and better ways to get rid of trash.